During the wind storm one Saturday a month ago Alex decided he needed to try out a kayak, because that was one of our few weekends not camping or working. 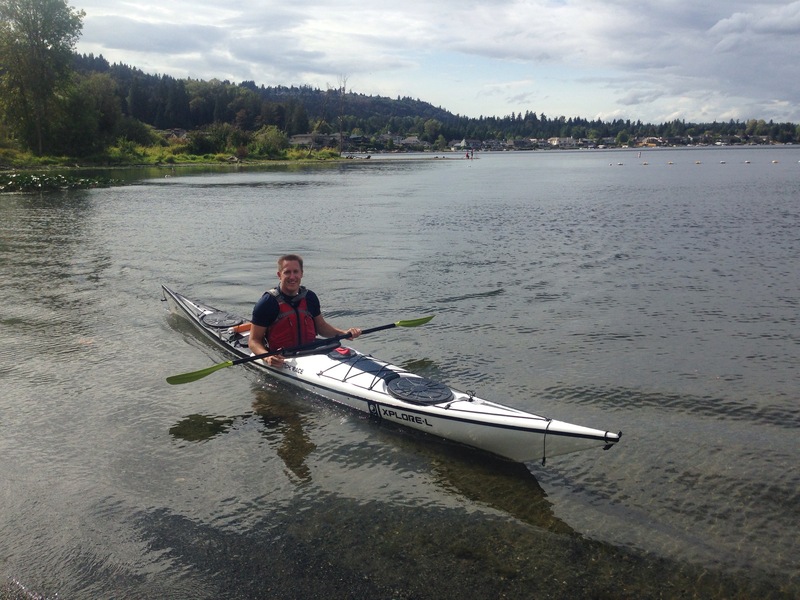 We did some research on the anatomy and physiology of the kayak and debated our top priorities (speed/tracking, stability, and storage). Then we went to Kayak Academy. I’ve heard their name a lot but never visited. When we arrived we almost turned back around, thinking it was someone’s house, then we noticed the rack of kayaks in the back. Going around back we saw many more where that came from and their garage shop and office. The trial wouldn’t cost anything, they just took our info and made sure we knew what we were doing. 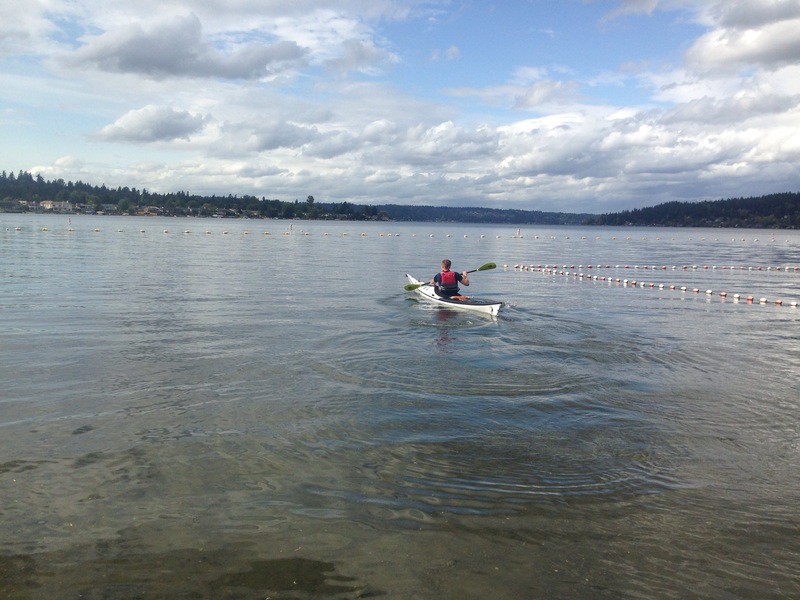 We loaded the TideRace Xplore-L kayak on the car and drove to Lake Sammamish, 10 minutes away. The gusts were strong and it was raining at times but when we got to the lake it actually wasn’t bad. He tried it out for a while and found he really like how it moved and enjoyed his paddle. 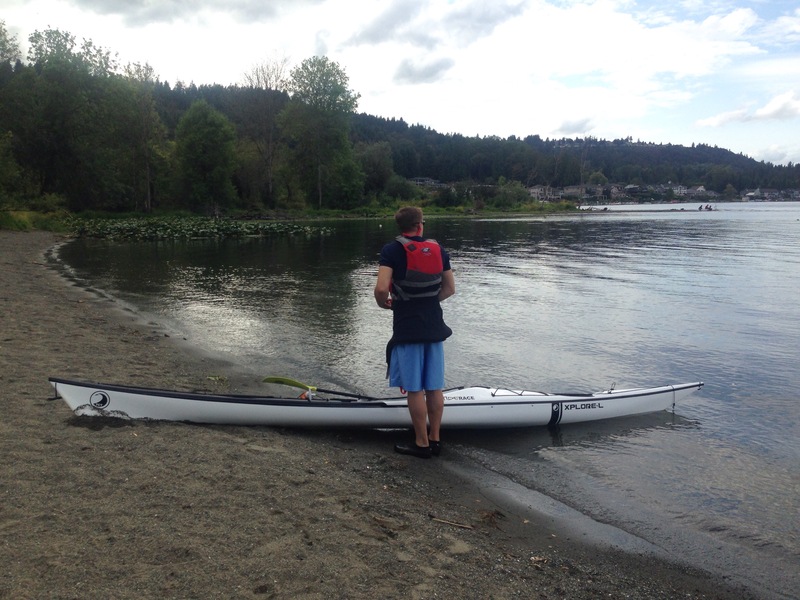 He wasn’t sure it was “the one” for him and wants to check out the Epic Sea kayak before getting too attached.